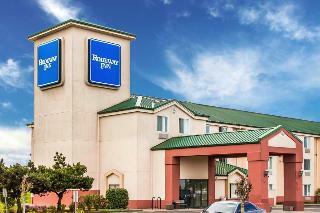 This delightful hotel is conveniently situated just off Interstate 5 in Salem. The hotel is located within close proximity to many attractions and points of interest in the area, as well as a number of shopping, dining and entertainment options. This delightful hotel enjoys an attractive architectural style, greeting guests with warm hospitality and the promise of an enjoyable stay. The guest rooms are tastefully appointed, and provide a peaceful setting in which to work and rest in comfort. The hotel affords guests a number of exceptional facilities, catering to the leisure, dining and business needs of every type of traveller. 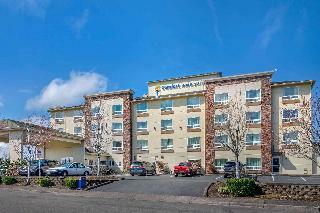 This 100-percent non-smoking Comfort Inn & Suites hotel is conveniently located in Salem, Oregon, with easy access to many nearby points of interest. The hotel is less than eight kilometres from the Oregon State Capitol building, Volcanoes Stadium ballpark, the Mission Mill Museum and Willamette University, the oldest institution of higher education in the West. Wine aficionados will want to visit Orchard Heights Winery, featuring award-winning wines, a tasting room, a gift shop and a delicious Sunday brunch. The nearby Lancaster Mall has something for everyone with dozens of shops, services and eateries. Guests travelling on business will welcome additional conveniences such as in-room desks and access to copy services, as well as free fax services for faxes within the U.S. and Canada. All spacious guest rooms at this Oregon hotel are tastefully decorated and come equipped with microwaves, refrigerators, coffee makers, hair dryers, irons and ironing boards. Laundry facilities are located on the premises for added guest convenience. Conveniently located amidst the charming surroundings of Salem, this hotel finds itself within easy access of a host of dining, retail and entertainment venues. 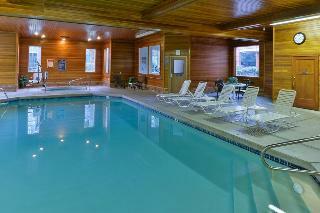 Guests can enjoy the Oregon State Fair and Expo Centre, Oregon State Capitol and the Willamette University. After a busy day of sightseeing, guests can unwind in the elegantly-appointed guestrooms. Utilising modern furnishings and high-quality fabrics, the hotel enjoys an aura of tranquillity and rejuvenation. Guests can refresh with a swim in the hotel pool, or simply de-stress with a relaxing drink in one of the nearby lounges. Ideal for business and leisure travellers alike, guests at this hotel can enjoy a vast array of activities in close proximity to the hotel. The Shilo Inn Suites Salem is conveniently located off Interstate 5, near the State's capital buildings and Oregon State's Fairgrounds.